When disaster strikes, first responders run toward the problem. At Nash Community College we train tirelessly in many areas and disciplines to help ensure citizens are safe. Whether it is fire services, emergency medical services, law enforcement, or an electric line technician that is needed, we all take comfort knowing there are individuals ready to answer the call. 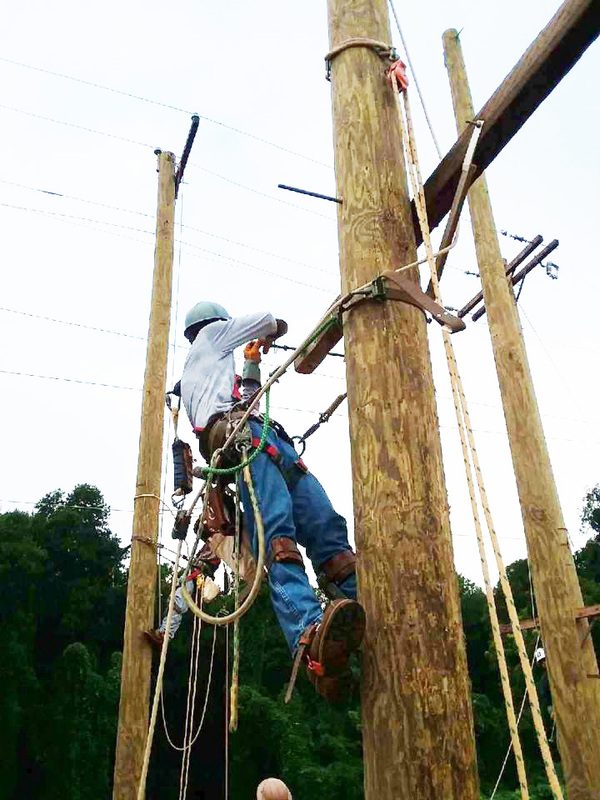 That is exactly where Electric Line Construction Academy graduates aim to find themselves after completion of the 16-week course offered at Nash Community College. Climbing high above ground level to enact know-how of electrical engineering against a variety of atmospheric elements is not for everyone. 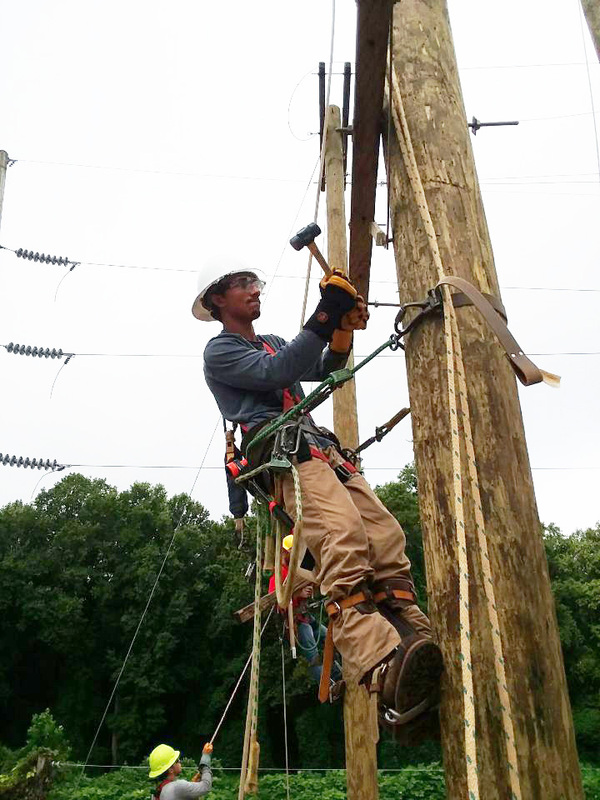 And with Hurricane Florence on track to reach North Carolina this week, NCC has a record number of Electric Line Academy students already working with utility companies in temporary positions preparing to restore power. NCC Electric Line Construction Technology instructor Jon O’Boyle recalls his field experience fondly. “It was great traveling to help other companies, meeting other utility workers, seeing how they do things and ultimately getting people’s power back on,” O’Boyle said. “It is an amazing feeling to have people come out of their homes and cheer for you when you respond to help them during a time of need.” NCC Electric Line Construction Technology instructors and academy students detail the career as one for a person in good physical condition, with perseverance, someone who enjoys working outdoors, has knowledge of or interest in machinery and is considered a team player. 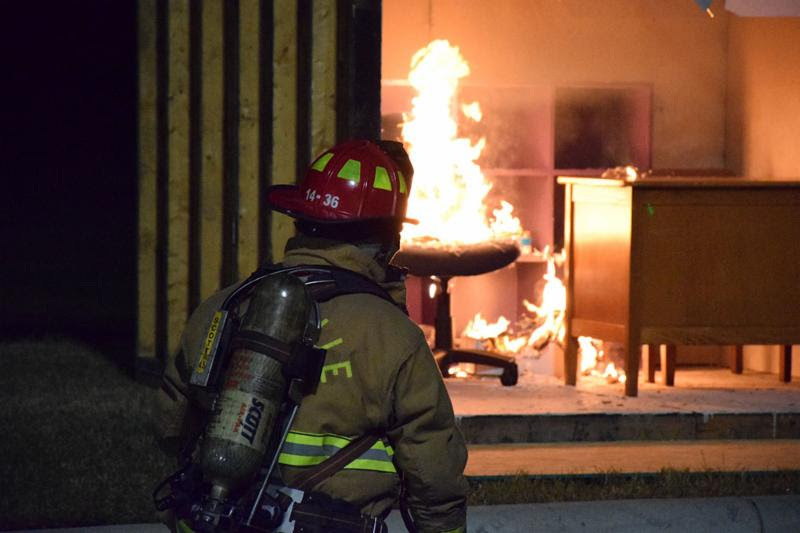 NCC’s 18-week Firefighter Academy prepares each cadet for a fulfilling career in the fire service industry. “It’s not just about certifications,” Winstead said. The academy’s mission is to instill discipline, character, professionalism, teamwork, integrity, credibility, physical ability, knowledge and skills – skills necessary to perform as a firefighter in a safe manner. 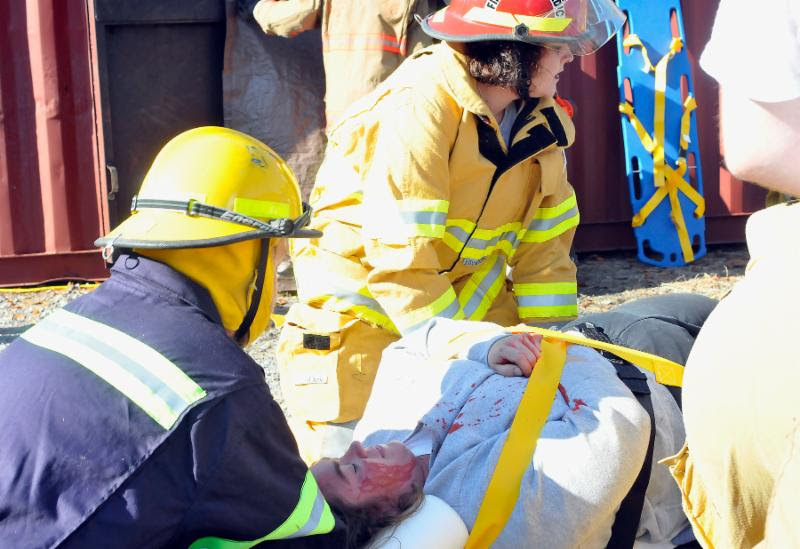 Since 1999, BLET training has been offered at Nash Community College preparing career law enforcement officers for situations they may encounter. The college expanded BLET training options with the opening of the Center for Advanced Law Enforcement Training in the Continuing Education and Public Services Building in 2015. The Center features unparalleled instructional facilities including an indoor firing range, and training simulators designed for students new to the field, as well as seasoned veterans already serving throughout the region. So this week and every week, we see the impact first responders make on our communities. And for that we say “thank you” for your selfless acts of courage that keep us safe.